Leonard Perlmutter, founder and director of The American Meditation Institute will announce the formulation of the Yoga Science “Thought Energy” equation D=E+W+C at AMI’s 31credit hour mind/body medicine CME conference for physicians and other health care providers, October 22-26, 2019 at the Cranwell Resort and Spa in Lenox, Massachusetts. The formula, which Perlmutter indicates can empower human beings to transform the debilitating power of unhealthy desires into a beneficial form of healing energy, will power and creativity, will be presented at the annual “The Heart and Science of Yoga” physicians’ conference designed to help identify, prevent and relieve physician stress and burnout. 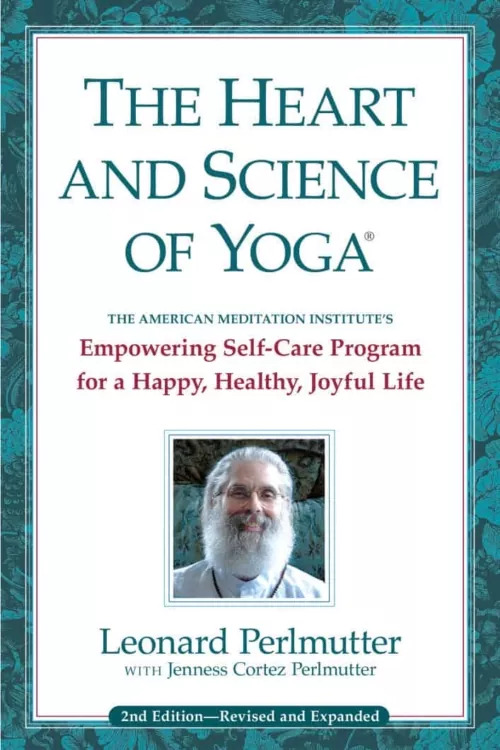 Leonard Perlmutter is a noted educator, philosopher, and author of both the award-winning book and conference curriculum, “The Heart and Science of Yoga” and the mind/body medicine journal “Transformation.” Leonard has previously presented courses at the M.D. Anderson Cancer Center, Kaiser Permanente, the Commonwealth Club of California, the U. S. Military Academy at West Point, and The New York Times Yoga Forum with Dean Ornish MD. Holistic physician Susan Lord MD will speak on “Food as Medicine” at The American Meditation Institute (AMI) 31-credit hour CME conference for physicians and other health care providers, October 22-26, 2019 at the Cranwell Resort and Spa in Lenox, Massachusetts. Entitled “The Heart and Science of Yoga,” this year’s 11th annual comprehensive training on Yoga Science as holistic mind/body medicine is accredited by the American Medical Association and the American Nurses Association to help identify, prevent and relieve physician stress and burnout. 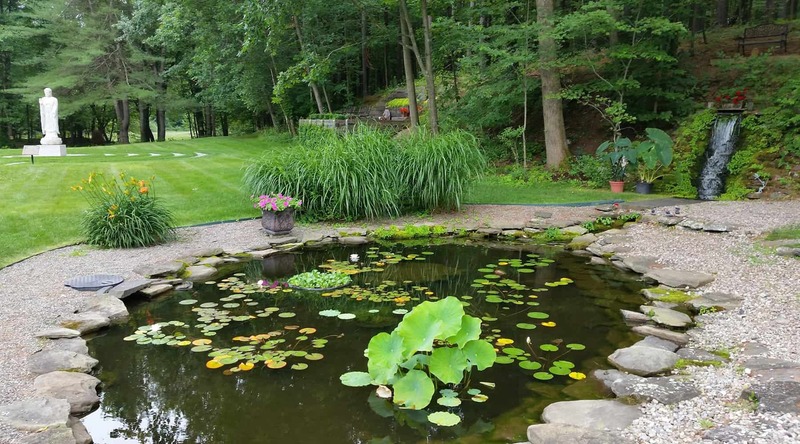 Dr. Susan Lord graduated from Case Western Reserve University School of Medicine and is in private practice in Great Barrington, MA focusing on prevention and treatment through mindful living and lifestyle changes. From 1996-2007, she served as Course Director for the “Food as Medicine” program at the Center for Mind/Body Medicine in Washington, DC. A complete curriculum of Yoga Science and meditation practices to relieve and prevent physician burnout will be taught at The American Meditation Institute’s (AMI) eleventh annual mind/body medicine 31 credit hour CME conference on October 22-26, 2019 at the Cranwell Resort and Spa in Lenox, Massachusetts. Entitled “The Heart and Science of Yoga,” this 11th annual comprehensive training, accredited through the American Medical Association and Albany Medical College Office of Continuing Medical Education, is designed to help identify, prevent and relieve stress and burnout currently being experienced by physicians and other healthcare providers. 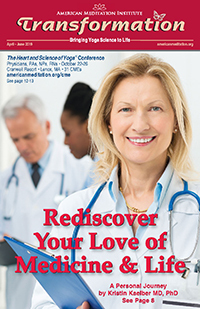 As part of its ongoing effort to redress the physician burnout issue, The American Meditation Institute in 2009 conducted a retrospective case study of participants who previously completed “The Heart and Science of Yoga” curriculum. The findings included these positive, reproducible, long-term health-promoting changes: significant reductions in stress and fear, decreased anxiety and depression, lowered blood pressure, lowered heart rate, improved restorative sleep, improved energy levels, Increased creative capacity, diminishment of migraine headaches, elimination of irritable bowel syndrome, enhanced happiness and optimism, reduced cholesterol levels, diminished or extinguished acute and chronic pain, weight loss and increased breathing capacity. According to the annual “National Physician Burnout, Depression & Suicide Report” recently published in the “Medscape Report,” the rate of physician burnout directly correlates to the numbers of hours a physician works each week. Of physicians working 71 or more hours a week, 57% report burnout symptoms. On the opposite end, of physicians working 31-40 hours per week, 36% report burnout symptoms. Surveyed physicians cite increasing administrative tasks and computerization of practice as a major contributor to longer hours and burnout. The American Meditation Institute (AMI) announced today that it has entered the second year of a research study that examines the impact of a basic daily mantra-based AMI MEDITATION practice on the symptoms of burnout, compassion fatigue and stress in healthcare providers. The second group of participants in this study will be among those who receive their training at AMI’s tenth annual “Heart and Science of Yoga” Mind/Body Medicine CME conference October 23-27, 2018 at the Cranwell Resort and Spa in Lenox, Massachusetts. The study received IRB (Institutional Review Board) approval through the Berkshire Medical Center in 2017. Gustavo Grodnitzky, PhD will join the faculty of The American Meditation Institute (AMI) for a 32-credit hour mind/body medicine CME conference on meditation, gentle yoga and diaphragmatic breathing for physicians and other health care professionals. 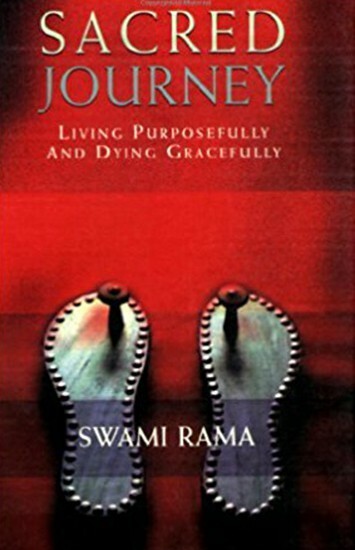 Entitled “The Heart and Science of Yoga,” this comprehensive training being held October 23-27, 2018 at the Cranwell Resort and Spa in Lenox, Massachusetts, is accredited by the Albany Medical College and the American Medical Association, and is designed to help relieve physician stress and burnout. Gustavo Grodnitzky, PhD is a noted speaker, author, consultant , psychologist, and Chair of the AMI Psychological Education Committee. After obtaining his Ph.D. in clinical and school psychology from Hofstra University, he completed post-doctorate degrees in both cognitive therapy and forensic psychology. Now in its tenth year of providing physicians continuing medical education credits, this unique holistic mind/body medicine conference will present an in-depth study of the historical, philosophical and scientific nature of Yoga Science. Practical yogic skills will be taught to all attendees to expand their knowledge of and experience with health-affirming, yogic practices. I interact with a lot of physicians who I think confront unprecedented levels of stress in their lives for many reasons. It’s easy for me to understand how challenging it is to be a physician navigating this landscape; trying to do the best you can with things beyond our control—health care reform, various regulatory issues are always coming down on providers. 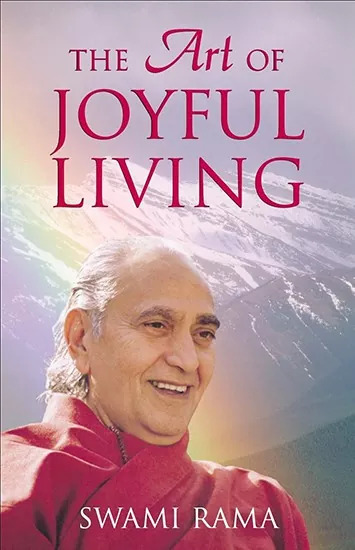 Any physician who is confronting challenge around joy and the capacity to thrive definitely needs to be aware of the AMI’s work. In my experience, the AMI program is unique. I’ve never seen anyone translate the philosophy and science of Yoga the way Leonard Perlmutter does with his beautiful integration of meditation in the context of Yoga Science. Leonard is always pushing the edges bringing in new speakers that represent expertise and state-of-the-art science. Really, from beginning to end, it’s news to use. This is a very experiential program, so while a lot of physicians might look at program that are more skewed toward didactics, lectures and powerpoints, experience is really the heart of the AMI’s program. I think this is a program that’s at the tipping point of meeting the needs of a tremendous number of caregivers who are doing amazing work but struggling to continue to maintain that edge. My appeal to any caregiver would be to love yourself. Express the same compassion to who you are as you would for those you care for. And look in the mirror and ask yourself, “Are you happy? Are you thriving?” And if not, why is that? Many of the AMI tools that you learn throuh this program are the antidotes to so many of physicians’ day-to-day challenges. Acclaimed neuromuscular therapist and gentle yoga instructor Lee Albert, NMT will join the faculty of The American Meditation Institute (AMI) for a 32-credit hour mind/body medicine CME conference on meditation, gentle yoga and diaphragmatic breathing for physicians and other health care professionals. Entitled “The Heart and Science of Yoga” this conference, to be held October 23-27, 2018 at the Cranwell Resort and Spa in Lenox, Massachusetts, is accredited by the Albany Medical College and the American Medical Association, and is designed to help relieve physician stress and burnout. Presenter Lee Albert NMT created, practices and teaches Integrated Positional Therapy (IPT)–a series of yogic protocols to reduce and eliminate chronic pain. He is the author of “Yoga for Pain Relief: A New Approach to an Ancient Practice.” His conference session, “Positional Therapy for Chronic Pain Relief,” will deliver practical, gentle techniques to help physicians align their neuromuscular system and achieve a pain-free body through life’s most challenging situations. The American Meditation Institute (AMI) will host its 10th annual comprehensive training in Yoga Science as holistic mind/body medicine conference October 23-27, 2018 at the Cranwell Resort and Spa in Lenox, Massachusetts. 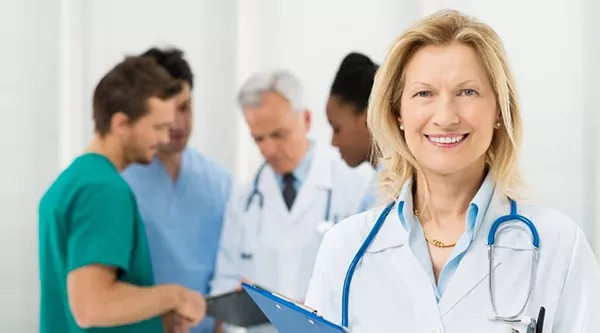 This 32 credit CME training, which is accredited by the American Medical Association, will provide a proven curriculum that transforms the energy of stress, and furnish each attendee a set of tools and resources necessary for relieving and preventing burnout. In addition to their enormous professional responsibilities, increasing numbers of physicians today are debilitatingly burdened with overwork, extreme stress, anxiety, and even “compassion fatigue.” According to the “2018 Medscape National Physician Burnout & Depression Report,” 42% of all physician respondents reported feeling burnout, and 15% admitted to experiencing either clinical (severe) or colloquial (“feeling down”) forms of depression. Taught by a distinguished faculty, this CME conference is a leading-edge program that presents practical and effective tools to aid physicians in bringing back the joy of practicing medicine, achieving personal and professional fulfillment, and providing more compassionate and insightful care to patients.